Both are currently $0.99. That may change, so grab them soon! This entry was posted in Uncategorized and tagged new release, novellas, novels, post-apocalyptic, reading on June 6, 2017 by Scott Dyson. Talk about the band trip from hell! Young and beautiful student teacher Kimberly Bouton rides along with the high school band from Minnesota to Alabama. But one of the stops along the way is an inn where creepy things have started to occur. Miss Bouton and other band members wake up sore and with headaches. Is someone at the inn abusing the women in their sleep? Dyson cleverly weaves a great tale with events in the news that quickly escalate out of control. Filled with twists and turns, you won’t want to put this one down! Really enjoyed this short but scary read. Extremely well-written — and difficult to put down. The characters were compelling, and the suspense was thrilling. A perfect story for a night by the fire. Scott Dyson, author (Deadlock Press, 2015). Is this the longest story I’ve read by Mr. Dyson? 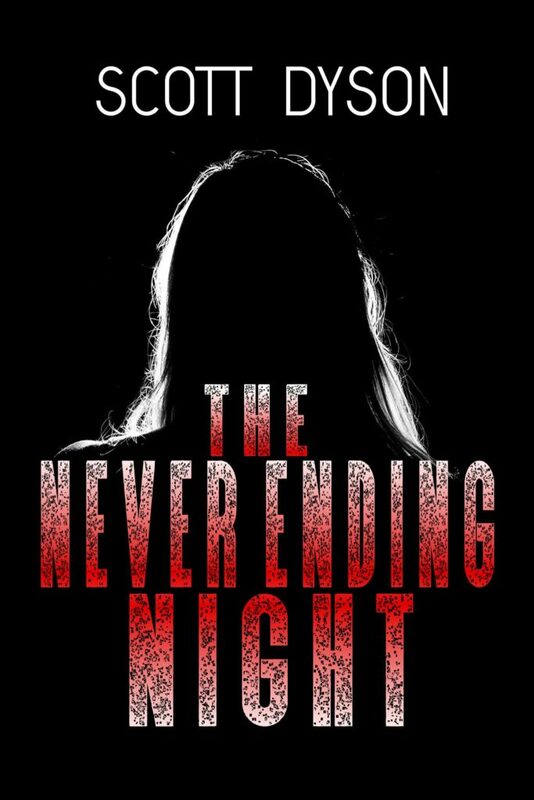 It’s a novella, and there’s a lot of horror, mystery, suspense, and thrills in these few pages. I loved it, and It’s not a genre I often read (the horror part). No zombies, vampires, or werewolves (thank God! ), just one seemingly ordinary human being doing horrible things to other human beings. Some scenes reminded me of Hayton’s novel Breathe and Release reviewed here and that real life atrocity with the three girls in Ohio. 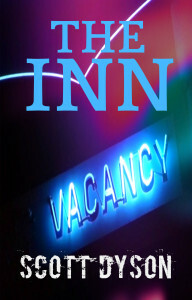 So there are three very positive reviews of THE INN. Thanks to those reviewers for taking the time to read and review it! This is another fine novel written by Scott Dyson. While reading I had to remind myself that I wasn’t reading a Stephen King or Dean Koontz horror novel, but and equally well written book by Scott. I love it! I’ve been compared to King and Koontz! Two of the best ever, in my opinion! I thought I’d toss some stuff up here about the background of writing THE INN. I flew through it; the story seemed to write itself. I went back and added in the material about St. Louis and the store where my main character purchases the flute pendant after the first draft was completed. I tried to give a little more depth to the parent-chaperones, who were barely mentioned in the first draft. And I fleshed out a few of the students a bit more in the narrative, making them more than just names that passed by in the story. The idea to write it came after I finished a book called TEXT MESSAGE by William Malmborg. In that book, Malmborg describes a college student who loses her younger sister at the mall, and then begins receiving text messages from her sister’s phone telling her to do embarrassing things (mostly of a sexual nature) or bad things will happen to the sister. When the girl refuses, the bad guy (girl?) texts a photo of the sister with a finger cut off. So the girl follows instructions to the letter, and…well, it goes on from there. I thought, after reading it, that I could probably write something similar, and started thinking about storylines. I thought of a motel or an inn (instead of a school or a mall) where bad things happen, and then I flashed back to a recurring concern I have when I’m in a motel room — that somehow they have surveillance cameras in the rooms. I mean, how would you know unless you start tearing the room apart? It so happened that band trips came to mind, and I combined the two things — a band trip to a motel with something of that nature in some of the rooms. I recalled certain things about my own band trips as a high school student, and about more current band trips and how they are organized, and out came the story. It ended up being something around 37,000 words, give or take. After about six months of polishing, getting input from my beta reader, and repolishing, I finally came up with an idea for the cover. I searched out images that would fit what I was picturing, and I think what I came up with is pretty close to my original idea. It hasn’t sold well…two copies in October and eleven copies in September, at least at Amazon.com (not sure about the other Amazons in the UK or other countries), but it’s been getting some KU page reads — over a thousand last month and over five hundred so far this month. My shorter novella THE CAVE (about 25,000 words) has been read in KU a few times as well, although it has only sold one copy in two months. So that’s the long story behind THE INN. I’m currently working on a long version of ODD MAN OUT, and am polishing a couple of other things that are done. Oh, and do yourself a service and read FAMILY AFFAIRS, TIME HOLE, and ONE MAN’S CASTLE. All three are excellent books! This entry was posted in Uncategorized and tagged book review, fiction, horror, Kindle Unlimited, novellas, Scott Dyson, self-publishing, writing on October 20, 2015 by Scott Dyson.